Who, then, had created the seed of evil that was tearing his heart? André Couvreur’s Human Seed, (1903) was one of the most shocking works of its era, one that attempted more fervently than any other to push back the boundaries of the conventionally-unmentionable, such as contraception, abortion and eugenics, illustrated through the lives of the eighteen children of the Grignon family, afflicted by the ongoing social disasters of syphilis and alcoholism. It will seem to many contemporary readers to be a truly bizarre novel, not so much in putting forward the argument that it does, but in shaping the plot that illustrates and exemplifies said argument. 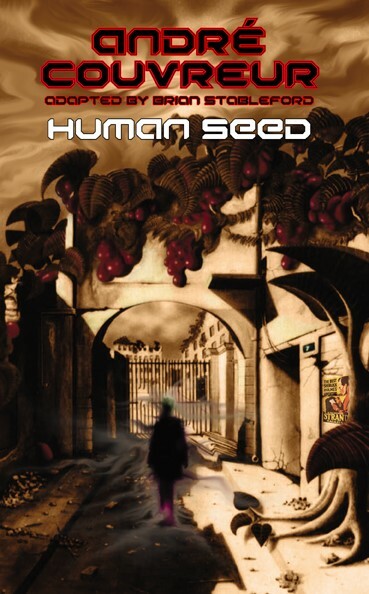 Human Seed is part of a series which includes The Necessary Evil and the futuristic utopian fantasy Caresco, Superman, featuring the brilliant but unscrupulous surgeon Caresco. Human Seed is a truly original work, and a crucial element of a unique and spectacular whole.